Georgia State Athletics Each player poured sand from each of their home state -- California, Alaska, Florida, New Jersey, Arizona, Michigan, Ohio, Texas and Georgia. The Georgia State sand volleyball team officially has a home, complete with sand from nine different states across the country. Each player poured sand from each of their home state — California, Alaska, Florida, New Jersey, Arizona, Michigan, Ohio, Texas and Georgia. The team held an opening ceremony for their new facility on Sep. 24 in front of athletic department staff and guests. 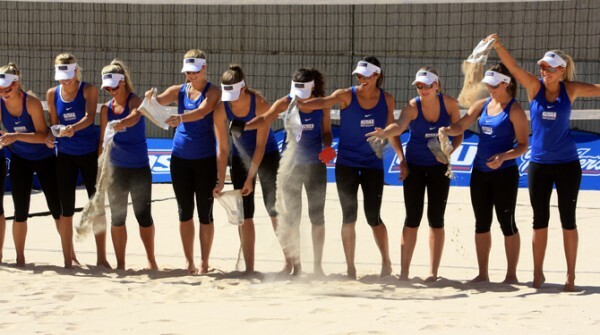 During the ceremony each member of the team doused the court with sand they had brought from their own home courts. “We’re extremely excited to go from what used to be a parking lot to now a beautiful, tiered, three court sand facility with some of the best sand in the country,” head coach Tami Audia said. Georgia State is one of only 25 colleges in the nation that features women’s sand volley ball as a varsity sport. The NCAA will fully sanction the sport and sponsor a national championship once 40 or more schools participate. The team began individual workouts on Aug. 27, and is now practicing as a full unit. A sand volleyball match consists of five matches between doubles teams. The team’s current roster consists of 12 members, including nine freshmen. Coach Audia doesn’t seem too worried about the team’s perceived lack of experience. The Panthers may not have a roster full of college veterans, but they do field one of the more skilled players in the country: graduate student Lane Carico. The inaugural season will begin this coming March. Coach Audia says the team plans on making a trip to Siesta Key, Fla. and hopes to also be able to make a trip to the West Coast. Georgia State will host a two-day tournament at their new facility April 6 and 7 of 2013. 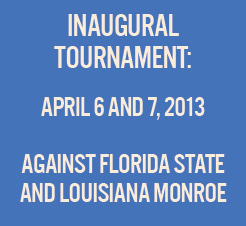 The event will also feature Florida State and future Sun Belt Conference foe Louisiana Monroe. The new facility is located directly behind the Sports Arena located at the corner of Piedmont Avenue and Decatur Street and has a seating capacity of 1,250. Fans can expect the play on the court to be just as nice as the scene around it.